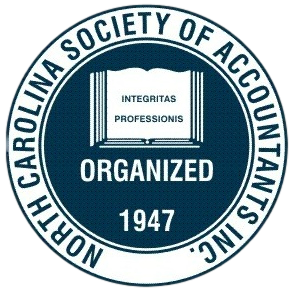 In 1947, the North Carolina Society of Accountants was founded to protect the practice rights of non-certified accountants in North Carolina. Through the ongoing monitoring of the NC State Board of CPA Examiners, legislative meetings and interaction and through promoting continuing professional education, the NCSA continues to meet our mission. I hope as you are reading this edition of The Accountant you have enjoyed your Holiday festivities, traditions and making new memories with family and friends. We all know as soon as January 1 arrives our lives change quite a bit and sometimes, we forget to have time for ourselves and the important people in our lives. As of now we are all educated on the new tax laws and should be ready to tackle the 2018 “tax season”. One of the advantages of being a member of the North Carolina Society of Accountants is the excellent CPE offered or sponsored by our society. We are lucky as some of our members are some of the best speakers available. PTI has Paul Bumgarner and Ron Powell while NC State Tax School has Jim Holmes and Curt Lee. Hope you were able to attend one or more of these CPE meetings as the knowledge obtained was very valuable. This year I definitely needed each class that I attended. 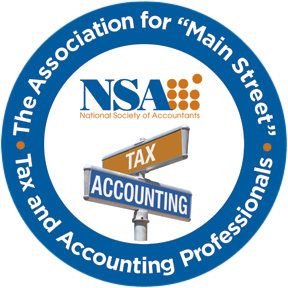 "THE ACCOUNTANT" is the official publication of the NCSA. Current topics concerning our industry, news from our local chapters, information of upcoming seminars and educational events, etc. We are the Affiliated State Organization for the National Society of Accountants and proud winner of the ASO of the Year, 2001, 2006, 2008, and 2015.